Established in Australia for over 25 years, Billi Australia lead the industry for innovation and environmental sustainability. Reduce your carbon footprint, beyond water and energy savings, with a recyclable water filter. Committed to an eco-focus, we believe you should enjoy all of the benefits of an instant boiling and chilled water system while having a low environmental impact. To ensure ongoing high performance filtration and optimal water quality, regular maintenance and water filter replacements are required. 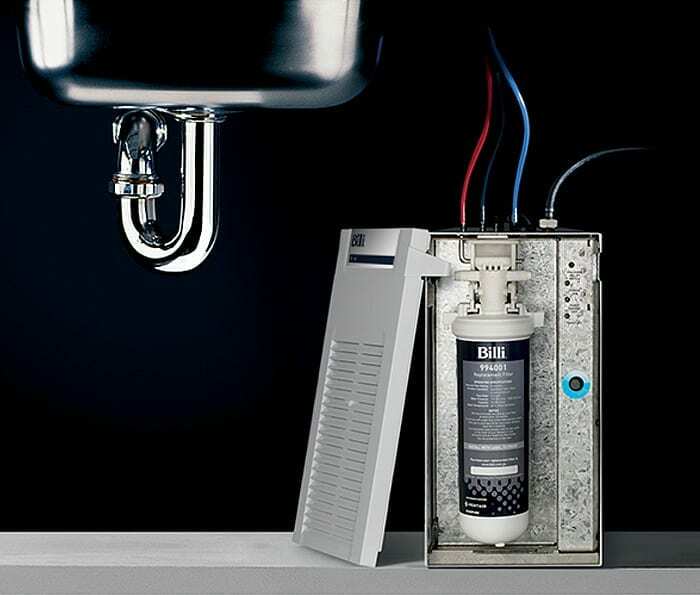 Offering 3 unique service plans to suit your requirements, with technical support and a scheduled delivery of a replacement water filter, buy your service plan online or download the Billi service plans brochure for more information. If you know which under sink water filter replacement you require, view our range of available filters online. Delivered to your door & simple to install, with DIY how-to-videos available, changing your water filter has never been easier. We pride ourselves on offering world-class water filtration products to the Australian and international markets. Tested to the strictest health standards, we ensure that each filtration product delivers the highest quality of drinking water. Integrating Pentair’s Fibredyne technology for superior filtration, you can get peace of mind for the best water filter performance and reliability. For more information on any of Billi’s products or services, call us on 1800 812 321 or email us at info@billi.com.au.